FILTER LASTS 1 YEAR THAT EQUALS LESS THAN 4 CENTS A DAY "AWESOME VALUE"
Fluoride Reduction Ceramic Dome as this filter is only 5 inches long it will fit all AWESOME WATER COOLERS. as well as most other brands of gravity filtration systems. E.G. Awesome Water, Prestige Water, Aussie Water Coolers, Healthy Water 4 u, Never fail, Aqua to go, etc..
water coolers for home or office. Awesome 97% Fluoride Reduction Ceramic Dome. The Awesome Fluoride Plus Reduction Ceramic Dome is an all in one filter that removes virtually all impurities including chlorine and 97% fluoride removal and lasts up to 12 months. 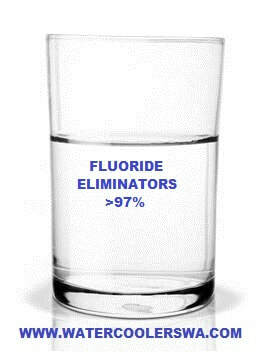 removes 97% fluoride without the use of activated alumina, for maximum purity and safety. This is accomplished using a proprietary matrix comprising of at least two types of activated carbon, combined with crystalline mono and di-calcium phosphate along with chemically active calcium carbonate, structurally bound with polymers that adsorb and exchange a variety of organic and inorganic substances; including most heavy metals, chlorine, chloramines and 97% fluoride. for cyst, turbidity, particulates, lead, chloramines and chlorine reduction. 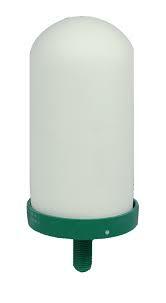 FLUORIDE CHLORAMINES REMOVAL CARTRIDGE WATER FILTER CANDLE. Removes Fluorides, Chloramines, Heavy Metals, Chemicals & Pesticides, the cartridge/candle costs as little as 4.6c. per litre of water to filter. The Awesome UltraCeram Fluoride Removal Cartridge is an all in one filter that removes virtually all impurities, including chlorine and fluoride. Awesome UltraCeram Fluoride Removal Cartridges / Water Filter Candle replacements are easily installed when required and need very little maintenance. TO CLEAN THE FILTER CANDLE, never use soapy water. Remove the surface dirt on the candle by scrubbing the candle with a new scouring pad, OR Toothbrush then clean it under running water. Do not use soap or detergent on the candle. Replace the candle every 6-12 months (or 2,000 liters) to maintain water purity. Ideal for people concerned about fluoride in town water. The UltraCeram® combines mechanical filtration and physical absorption processes to reduce a wide variety of drinking water contaminants of both aesthetic and health concerns. The pore structure of the ceramic allows efficient contact time to improve the taste and odour of the water as well as reducing chlorine, chloramines, volatile organic compounds, and heavy metals; such as lead, mercury and arsenic but most importantly fluoride. What Contaminants Does KDF Remove? KDF process media works to reduce or remove chlorine, iron, hydrogen sulfide, lead, mercury, magnesium, and chromium. It may also inhibit the growth of bacteria, algae, and fungi. Redox media removes up to 98% of water-soluble cations (positively-charged ions) of lead, mercury, copper, nickel, chromium, and other dissolved metals. More than 98% of chlorine is generally removed.